Ether (ETH) slid again this week, not helped by ICO projects that raised funds on the ethereum platform now cashing out. Meanwhile, bitcoin (BTC) ticked higher on the week Friday afternoon. Ether hit fresh lows for the year once again this week, continuing on the downward path it’s been on since late spring. The cryptocurrency has slid along with the rest of the digital currencies market, which has seen prices correct from what many have called an overbought status. Ether’s losses, however, have been more pronounced of late. ICOs are continuing to cash out into fiat currencies in order to fund projects and cover expenses. The amount of ether spent over time was at $19.7 million as of Thursday, according to data collected by SANbase. 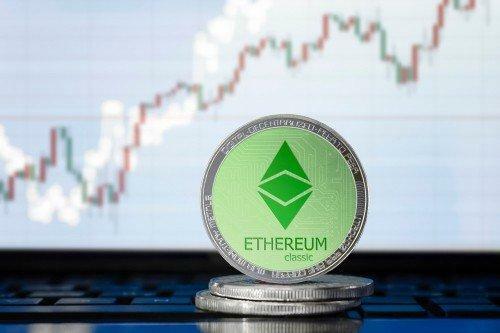 Meantime, adding to the bearish sentiment surrounding ether, the currency’s co-founder, Vitalik Buterin, told Bloomberg in a report published Saturday that blockchain’s days of explosive growth are likely over. Friday afternoon, bitcoin was trading at $6,491.12, according to ThirtyK data provided by CoinMarketCap, up 0.4 percent from the prior week. The cryptocurrency had climbed over $7,000 earlier this month. Bitcoin reached a year-high of over $17,000 in January, and has been trending lower ever since. Ether, which was down for a good part of the day, is now up 5.3 percent to $216.10 Friday afternoon. Litecoin (LTC) is up 5.7 percent to $57.40. As volatility continues in the market, Song says he has focused his attention on lightning network developments, and especially on a burgeoning technology known as submarine swaps. “The technical concept is fascinating,” Song says. Currently, bitcoin wallets and Lightening Network addresses are not compatible, meaning funds can’t be sent between the two; an extra step is required. The Lightening Network is a “second layer” payment protocol, or software designed to make the bitcoin network more efficient. Submarine swaps would allow individuals to exchange value across different blockchains, though the technology is still in its nascent stage. “You can essentially use a lightning network channel like a reusable debit card that can get filled up again and again without going on-chain,” Song says.